WHEN: Saturday, September 8, 2018. WHERE: Virginia Piper Cancer Center Conference Room, 1st Floor. 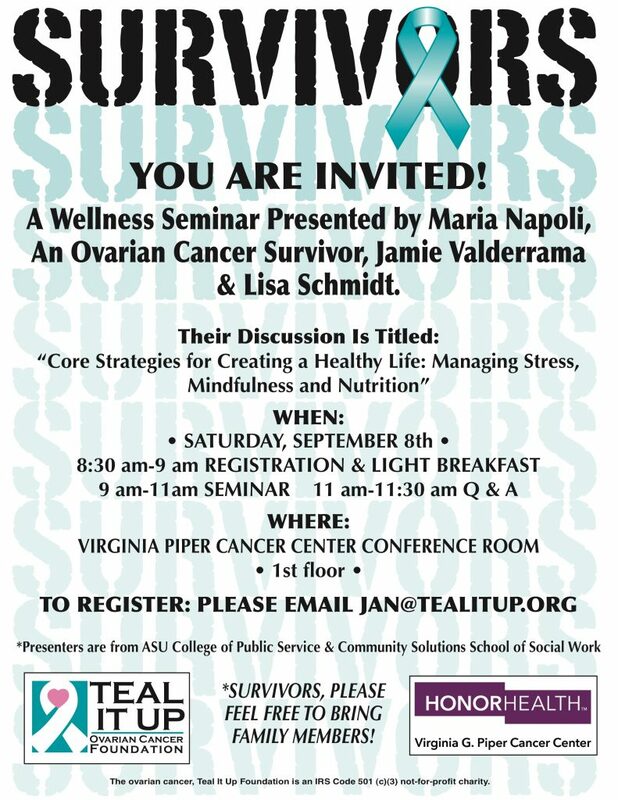 Attention All Survivors: YOU ARE INVITED to a Wellness Seminar presented by Maria Napoli (an Ovarian Cancer Survivor), Jamie Valderrama & Lisa Schmidt. Their discussion is titled: “Core Strategies for Creating a Healthy Life: Managing Stress, Mindfulness and Nutrition”. Survivors – feel free to bring family members!